The Vancouver Winter Olympics are just around the corner and for this year’s games much of the action may take place away from the jumps, slopes and ice rinks. 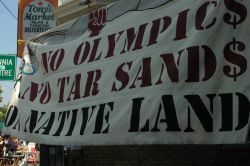 Indigenous groups plan to protest what they say has been the theft of their land and resources to construct Olympic related venues and projects. 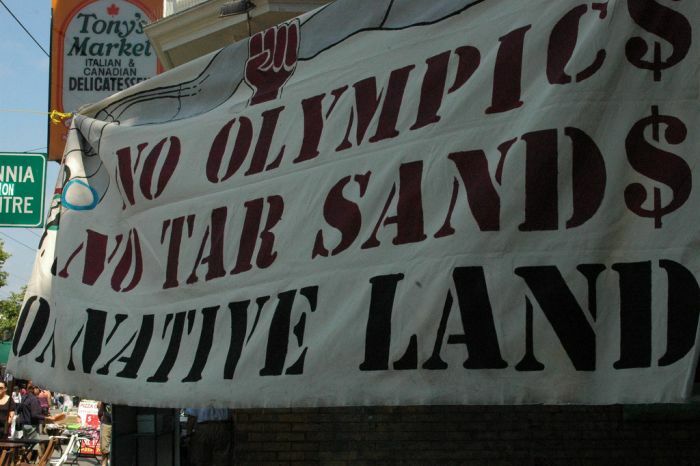 According to aboriginal groups, the exploitation they’ve endured for over a century has accelerated ever since Vancouver was awarded the Games seven years ago. As part of their protest strategy, indigenous people have embraced the media circus that has descended on Vancouver. They aim to embarrass the government in front of a worldwide audience. KBCS Reporter Adam Vaughn brings us part one in a three-part series on the opposition to the Vancouver Winter Olympics. This story originally aired on Community Radio KBCS in Seattle.